So like a little tradition for Christmas just like last year an Apple product was involved. 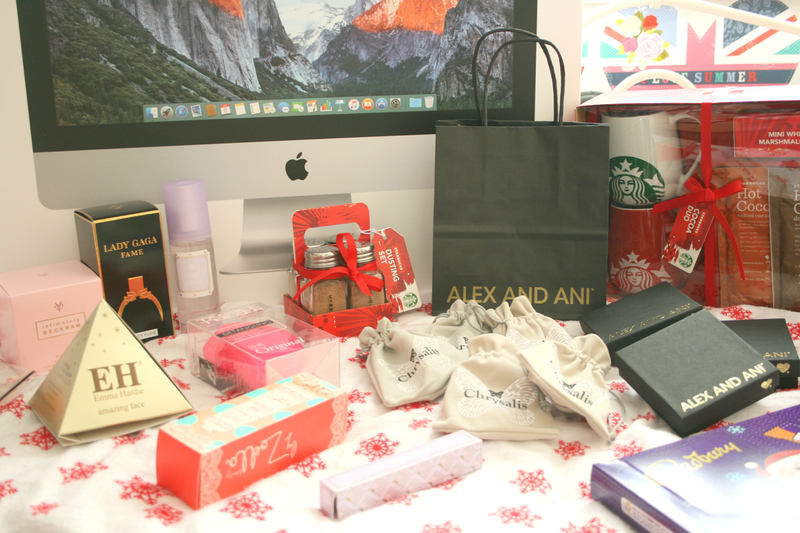 (Find last years post here) and if you follow me on Instagram you would have already seen it but this year my main gift was an iMac. I have wanted an iMac for the longest time but just accepted that I would never get one because I wouldn't be able to afford it. However as I've been working flat out since October, when Decembers pay day rolled around I decided to finally treat myself and get one so I have something to show for all my hard work. I am so in love with it and I am so happy I finally treated myself to it. So to me, from me! I had ran out of Fragrances big time this year and went from having about 20 bottles to none. The one that was on my Christmas list this year was a bottle of Ari by Ariana Grande but because where I work is awesome I was gifted the 100ml bottle of it back in early November so that was then taken off my list. However I got the Ari by Ariana Grande Hairmist and the Rollerball, which all have the same scent as the perfume and I am so in love with it. I also got a bottle of the original Victoria Beckham Intimately Beckham which is one of my absolute favourite fragrances and I haven't had it for years, so I was super excited to receive that. Finally the last fragrance was the Lady Gaga Fame which is another favourite of mine. So I'm all stocked up on fragrances for another while now! I love Starbucks okay I don't care if that's considered basic or whatever it is the kids say these days, their drinks are my fave and so is their food. So of course I was so excited to receive a Starbucks Hot Chocolate mug duo honestly the thing I'm most excited about is the Salted Caramel Hot Chocolate. SALTED CARAMEL. THIS IS NOT A DRILL. I do also love the mugs it came with, I just can't get enough of Starbucks mugs and have a little collection of them building up in the kitchen press. To go with my Starbucks mug set I also got the Starbucks Dusting Set which I think is so cool and I cannot wait to start using it for sprinkling it on top of my Hot Chocolates. I take my Hot Chocolate very series, marshmallows, cream, candy cane, dusting powder, the whole shabang! Other gifts I recieved was a Tangle Teezer which I have wanted for the longest time but I refused to buy myself one for some reason. I also got a little Emma Hardie Cleansing Balm. 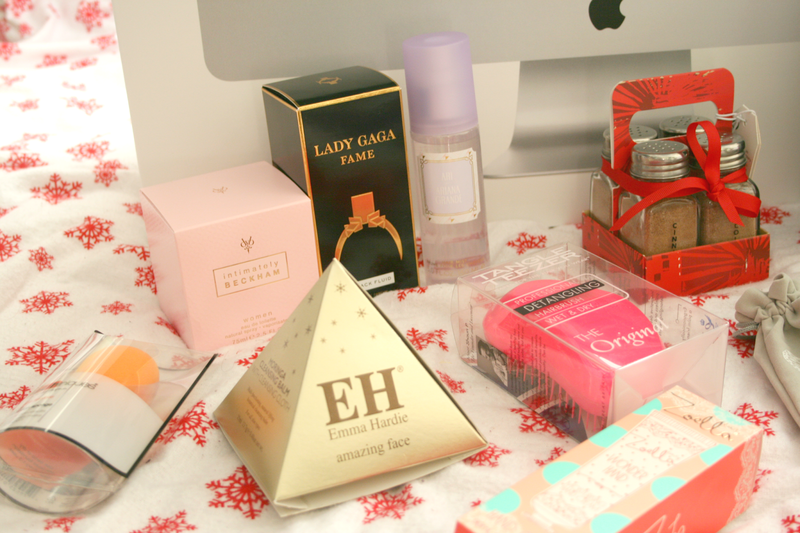 How cute is the little packaging for Christmas. Inside it contains a little 15ml tub of the cleanser and a muslin cloth, it'll definitely make up my mind if I'd like to splurge on the full size product! I also got the Zoella Hand Cream which has the cutest packaging ever and has the scent of her original collection which is my favourite. And of course another Real Techniques Complexion Sponge because gotta keep stocked up! 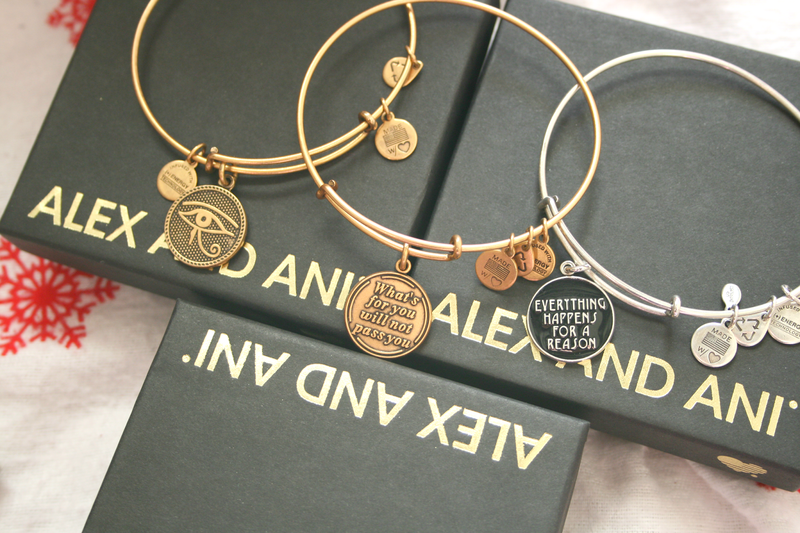 Finally I got 3 Alex & Ani Bracelets and 5 Chrysalis Bracelets which are just like the Alex and Ani only a different name. 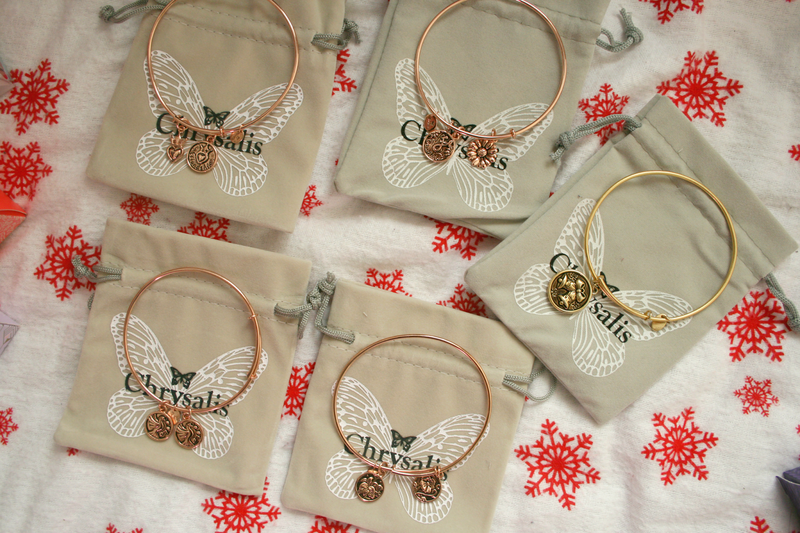 Can you tell I'm obsessed with these kind of bracelets at the moment? They all have different meanings which I really like but I won't write them all down here or we will be here for awhile! I love them all stacked together and love the mixed metals colours together. Hearing how amazing spells hand cream is.... I must try!!! 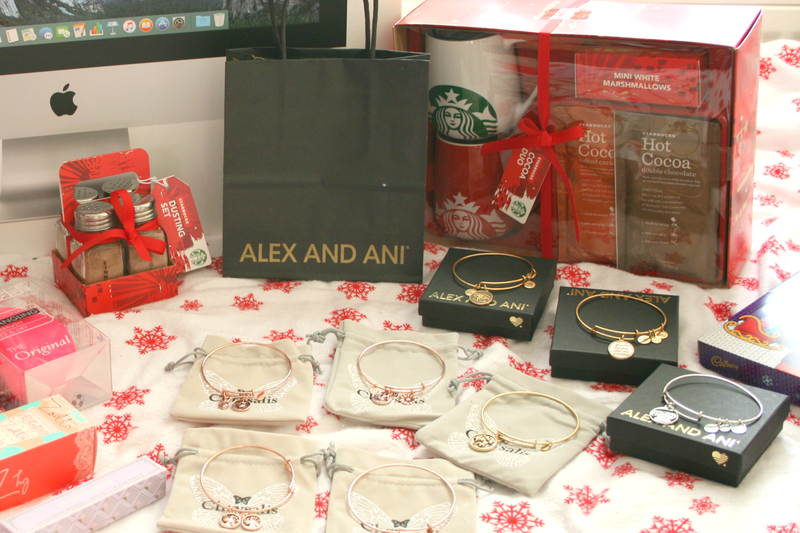 I actually really love the Starbucks mug duo and the perfume!